HerStory follows Fianna, a vivacious and creative teenager with no great affinity for the academic side of life. 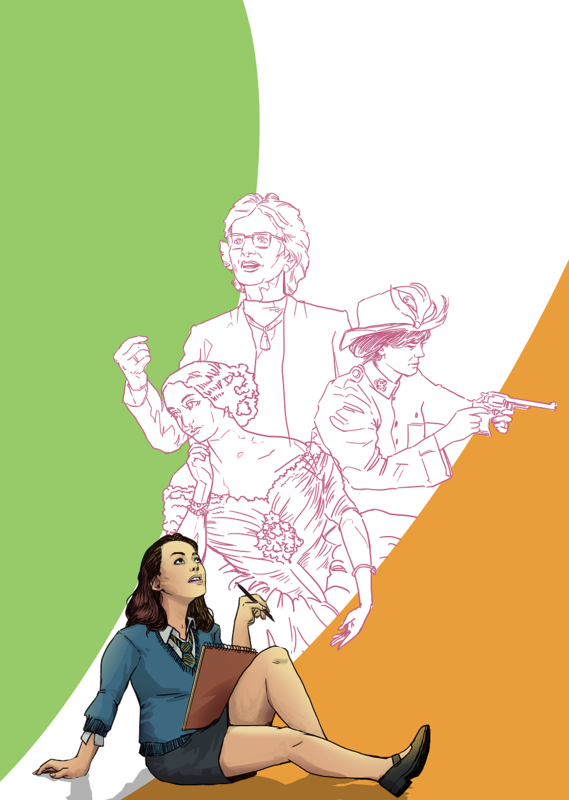 We join Fianna as she is presented with a history project on an influential Irish woman. The guidelines of the project clearly state, she is not allowed to present on any household names like Countess Markievicz, Mary Robinson or Katie Taylor… no famous personalities or Irish legends. This leads her to think, ‘There’s no one left’. However, her reluctant research shows her women from Ireland who have influenced the world in ways she never even dreamed. Her vibrant imagination brings these women to life and allows her to talk with them. She discovers doctors, scientists, professors and world famous singers. With the help of these women Fianna begins to see things in a completely different way and learns that, no matter what, she can achieve anything.